My 10th birthday was awesome! I had a Luau Party and I invited about 20-30 people and I had a BUNCH of decorations! I got them at Wishing Well and stuff like that! I asked guests (girls) to come in hula skirts and I provided everyone with Hawaiian necklaces. I had a about a 4ft Hawaiian girl pinata. It was awesome! I also had Silly String and lots of food and appetizers. My older sister and sister in-law made up games... lots of them! The party was at my house. I hope this theme helped you!!!! It sure helped me! I am having a luau party for me. I am turning 11. I hope it will be fun. Thanks for the ideas! Reply: Hope you have the best 11th birthday party ever! HAPPY B-DAY! Invites - An ADORABLE idea for invitations is to write you're party details on a piece of paper and put it in a water bottle with sand and a few seashells. You probably should hand deliver. Food - Put Chips, Dips, Candy, Crackers, and Prezels in pails. Use the shovels that come with them for serving spoons. I have a whole ton more ideas, but I'm to lazy to type them all!!! I want my party to be cheap and cheerful and I want everyone to have fun and enjoy themselves. Plus I need a lovely Hawaiian outfit like coconuts and a grass skirt and good decorations and colourful balloons and body glitter. 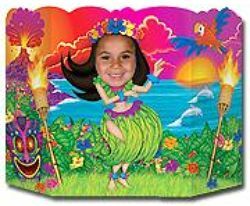 My party last year was a luau. We got a bunch of leis, and at Hobby Lobby we got dollar flip-flops. It is a well recommended party (by me). Nice one and a bit unique. Last year I had an Hawaiian theme. I only invited 2 people cause, I don't know, I guess I just wanted my 2 closest girls 2 come. Anyway, for decorations, I didn't do all that much. I had 2 tiki torches, these plastic fake windows that I hung on the wall, some Hawaiian flower shaped plates, etc. For food all I did was some fruit and stuff. Not all that extravagant, but fun. I'd love to hear about the games you played too.